Meet Kevin. Kevin has endured many life-threatening events during his 46 years of life and is need of a service dog. When he was just 17 years old he had the misfortune of being stricken with Acute Lymphoblastic Leukemia, Kevin has been in remission for over 25 years now. When he was 28 he was struck again, but this time he suffered a brain hemorrhage to his left frontal lobe and a small stroke in his right lobe. Between 28 spinal taps for testing, and injecting chemotherapy into his spinal column, in addition to radiation treatment to his cranium and spine, he developed calcification scars on his brain. This Acquired Brain Injury happened 18 years ago, and he has been dealing with a seizure disorder ever since. Kevin deals with multiple daily challenges including memory loss, confusion, disorientation, balance, and fatigue. Some days he may not have a typical seizure but may just be “off” and not feel well. Those days, he calls “Beach Days” because he makes himself as comfortable as possible, relaxes and gives his body the extra rest it is demanding. With the constant threat of having a seizure while alone or out in public, things have gotten to the point for him that he no longer goes out into the world unaccompanied by a friend. At the recommendation of his medical team, and encouragement from his loved-ones, he has contacted us, Paws For Life at Animals Deserve Better and we have placed Kevin with this beautiful, smart puppy Charlie. By learning to perform tasks to assist Kevin through the symptoms that he experiences daily and even learning to alert Kevin of an upcoming seizure, Charlie can give Kevin the confidence, security and independence to promote independent living, help Kevin manage his disability and give him a better quality of life. Although Kevin has a friend who generously donated the initial $2500. 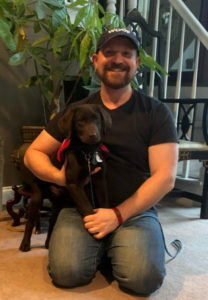 to start the process, unfortunately, with the medical expenses that Kevin has incurred he cannot afford the expense of the lifelong training for Charlie. Please consider making a donation to help with the cost of Charlie and his specialized training. No donation is too small and every donation is appreciated more than you know. 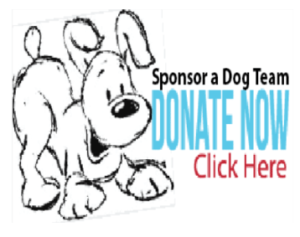 Paws for Life is part of Animals Deserve Better, a 501c3 non-profit corporation, dedicated to training Service Dogs.